Mark your calendars for Saturday, November 18th, from 9:00 a.m. to 2:00 p.m.! Coffee and muffins will be served from 9 to 11 a.m. with a hot lunch served from 11 a.m. to 1 p.m. 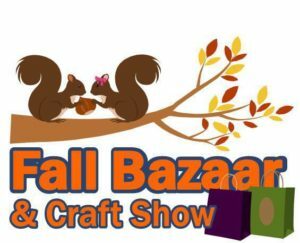 The Fall Bazaar is always a highlight in the community! ← It’s Time for a New Name!